Hurricane Season by Nicole Melleby follows the story of Fig, a young girl who takes an art class in order to better understand her mysterious father. Check out the first look at the cover! 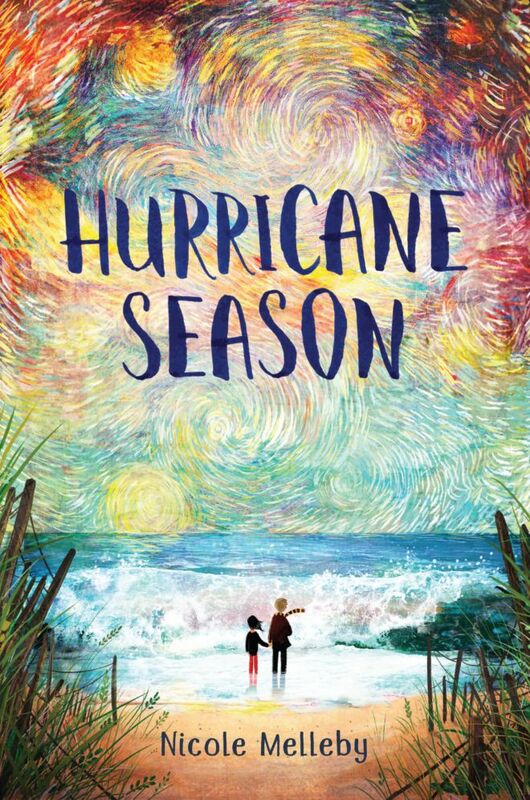 With an emphasis on learning about Vincent Van Gogh, it seems appropriate the cover for Hurricane Season would invoke his art style. The pastel palette deepens into a more vibrant one as it rises away from the ocean, the sky swirling with a bevvy of colors. On the beach stands a man and a girl, our two main characters, ankle-deep in the water as a wave comes crashing in. The cover, much like Van Gogh’s The Starry Night, feels like it’s in motion and somehow captures the conflicting emotions of hope and insecurity that Fig must be feeling. Hurricane Season by Nicole Melleby will hit store shelves on May 7, 2019. In the meantime, you can pre-order it from Amazon, Barnes & Noble, or IndieBound, or add it to your Goodreads list.